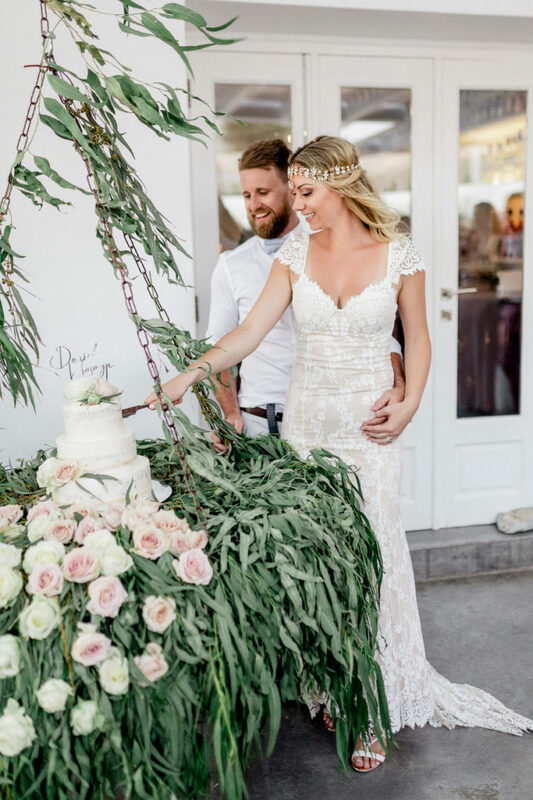 This cool couple celebrated their wedding in Greece with dozens of loved ones. 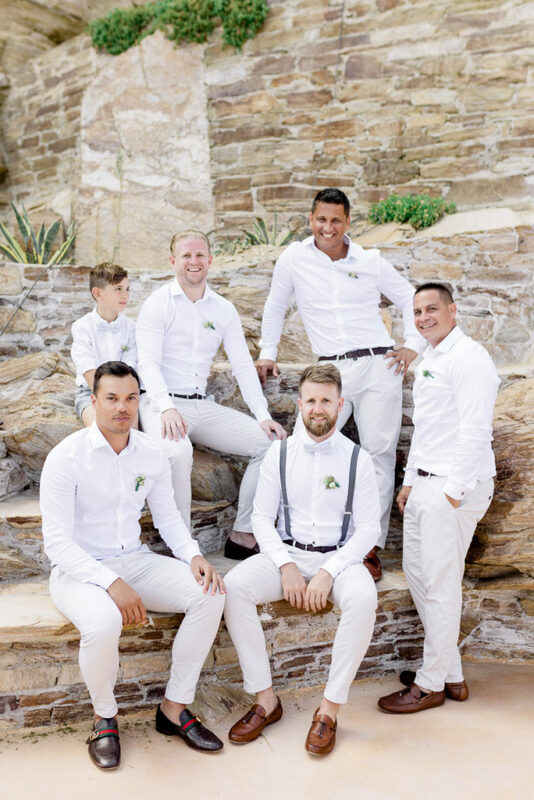 Take a few minutes to enjoy their wedding and reception at the Ios Club, you won’t regret it. 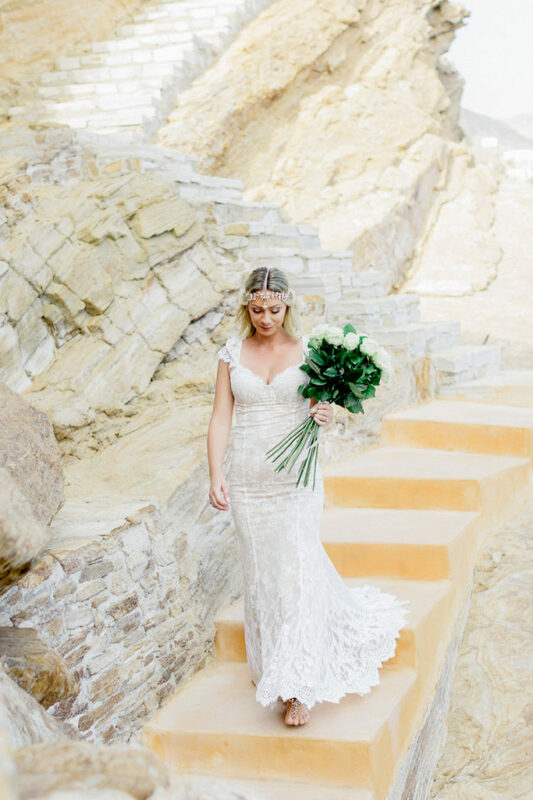 Jasmyn and Daniel wanted to tie the knot on a secluded and peaceful spot in Ios island in Greece, overlooking the Aegean Sea! 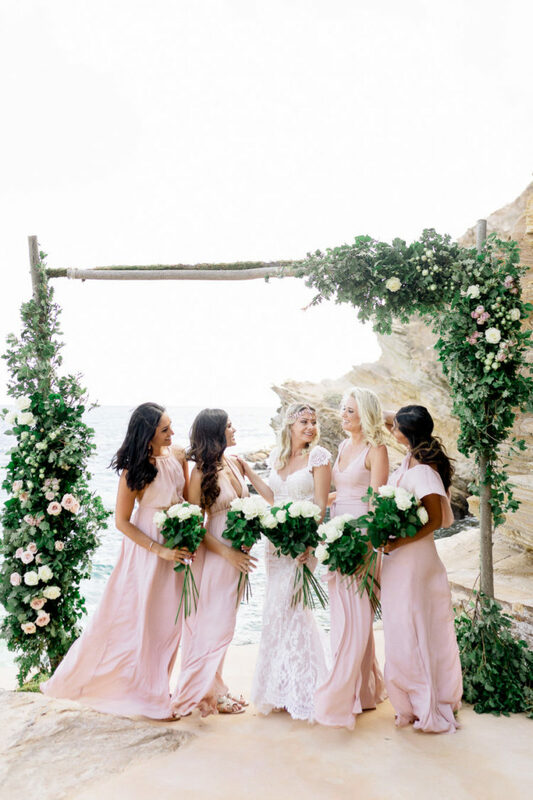 The ceremony took place at a serene location where everybody, couple and guests, had to make their descent for over 180 meters through a seaside secret path, however the compensation was well worth it! 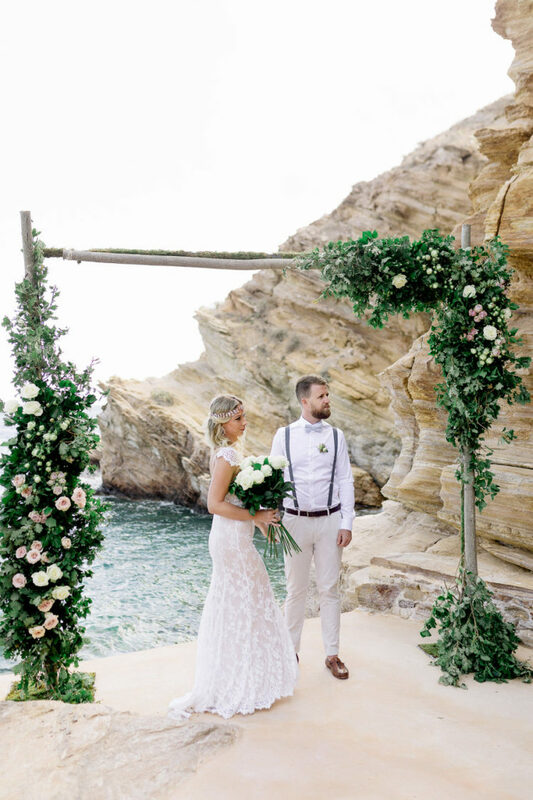 The calm and peaceful ambience of this magic place combined with the breath-taking view to the boundless horizon and the Aegean Sea, made the perfect scenery for the couple to exchange vows of eternal love and dedication in front of an amazing floral arch. 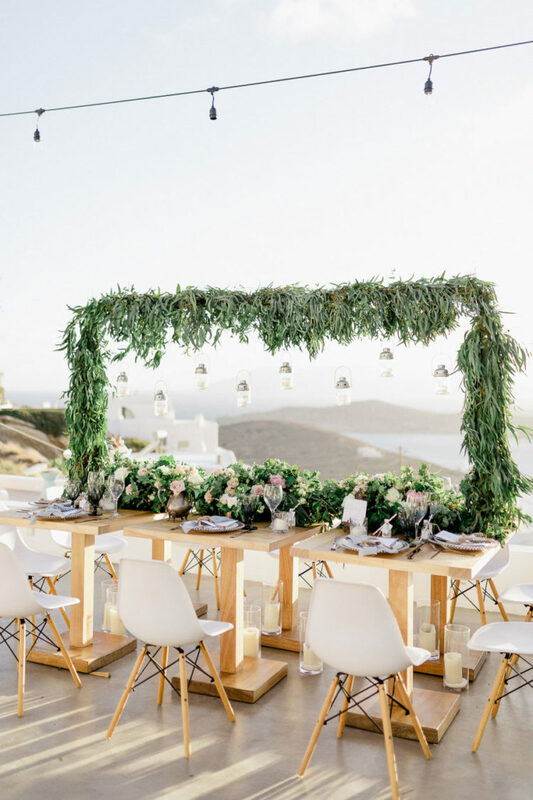 The ceremony was followed by a dinner party, accompanied by Greek flavors especially chosen for the occasion which the guests savored against the setting sun, enjoying the view and the fresh sea breeze. 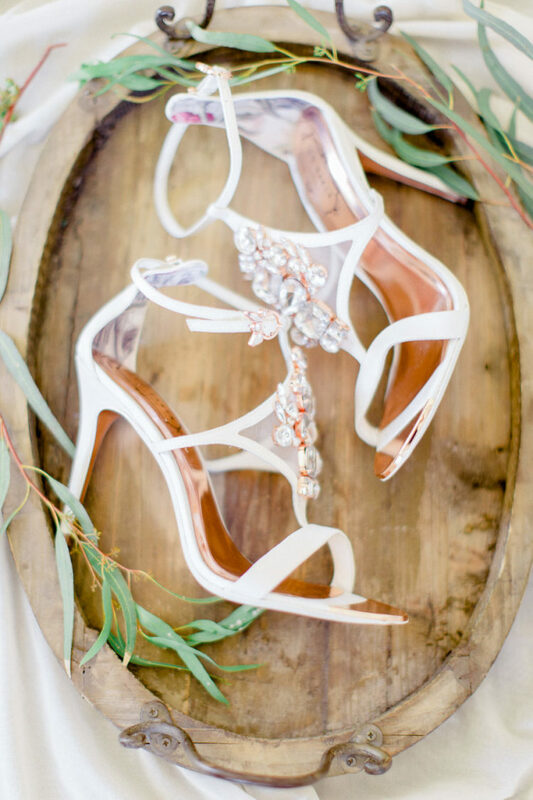 Everything was decorated with the uniquely inspired floral combination of eucalyptus greeneries and wild garden roses. The wedding decor was highlighted by the calligraphy wedding stationery, the elegant three-tiered wedding cake with their handwritten names as a wedding topper, arranged on the stunning floral swinging base, the rustic whiskey and cigar bar, the handmade water colored in soft hues deckle edged menus on the dinner tables. 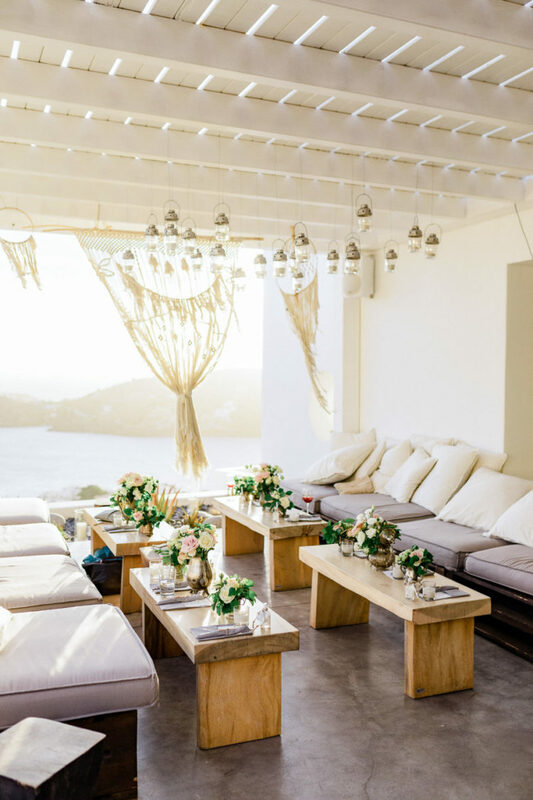 As the sunset palette was constantly shifting, this perfect evening was completed by the signature cocktails and the one-of-a-kind wedding gifts for the guests.